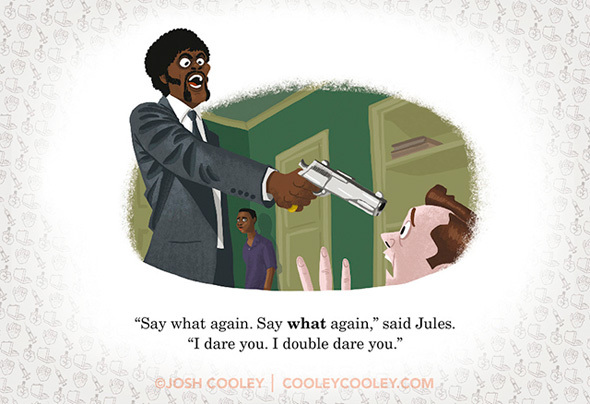 We've seen artistic reimaginings of some of our favorite films like Indiana Jones as an animated series and iconic sci-fi films turned into pulp fiction novel covers. 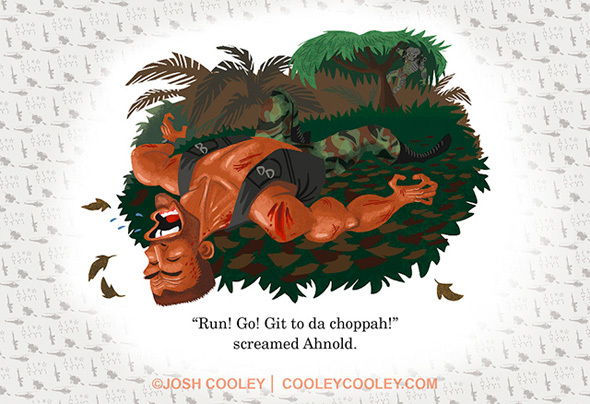 Now graphic designer Josh Cooley has taken grown up films like Pulp Fiction, Drive, The Big Lebowski, Predator and more and turned some scenes into pages of a children's book, not unlike the well-known Little Golden Books series from most of our childhoods. While it's funny seeing the dialogue written in this way, the illustrations are what makes this incredible. 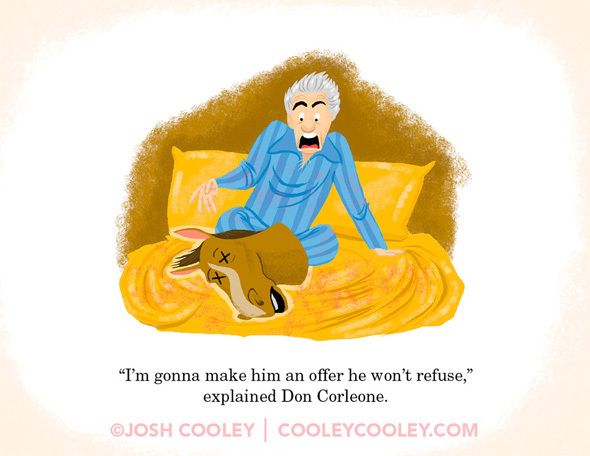 The caricatures are amazing, and someone should publish books like this right now. Look below! This is just a small sample, and you can head over to the Imgur gallery to see all the rest including Terminator, Psycho, The Godfather, Se7en, Fargo, No Country for Old Men, Pan's Labyrinth and many more. 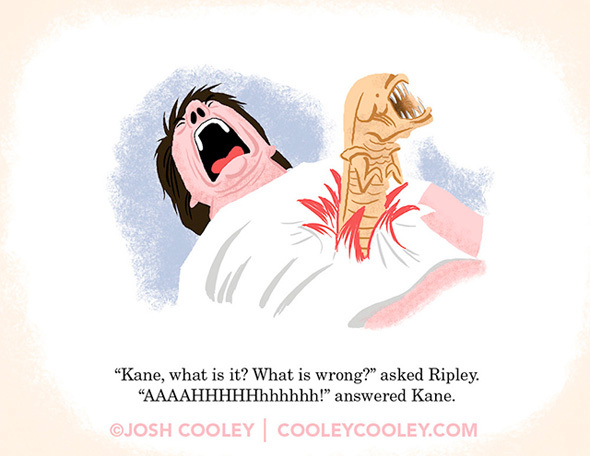 If you want to buy any of these pieces for your wall, check out Cooley's website right here. These would be even cooler gifts for cinephiles, especially if the films could be condensed into kids' books. 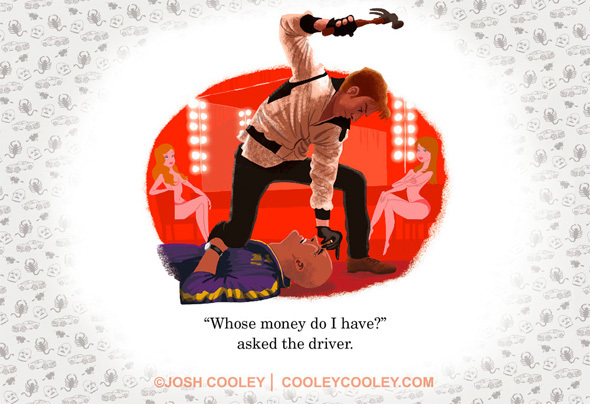 UPDATE: You can buy these illustrations in a book called Movies R Fun hitting shelves February 25th. I love all of these. 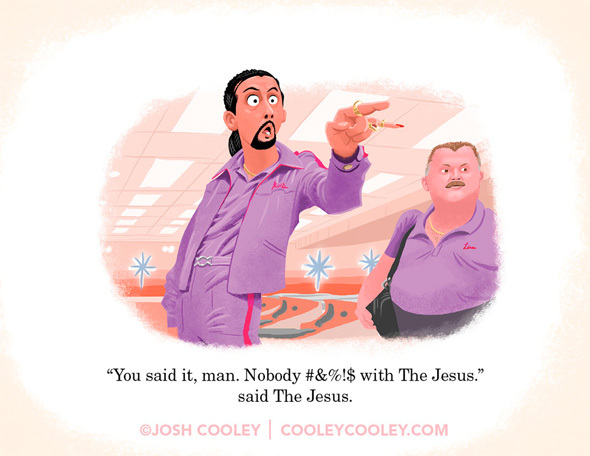 Especially, the DRIVE and THE BIG LEBOWSKI. 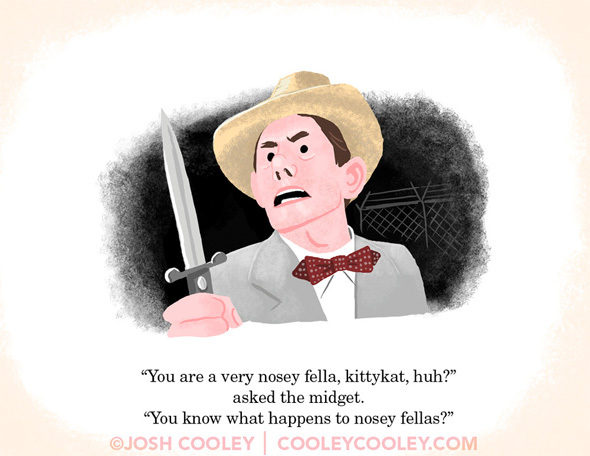 The guy with the switchblade and bowtie. Which film is that? Chinatown?